Since beginning operation in 1994, American Piping Products has been dedicated to providing more than just material supply. American Piping Products has helped customers reduce costs and improve the bottom line. 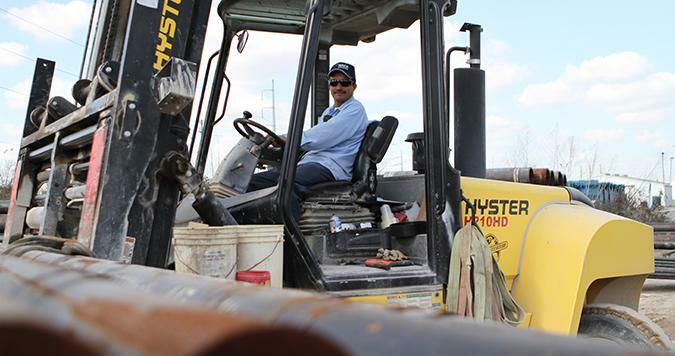 This approach to partnering with customers has made American Piping Products a leader among steel pipe suppliers and one of the fastest growing companies in North America. A ride through warehouse facilities in Houston and Chicago shows the sheer size of our inventory. Our network of suppliers is even larger. American Piping Products sources products worldwide to supply material across specifications, grades and price points. Customers can procure a wide range of grades and product forms supported by high-quality research, development, and technical services. Our technical expertise sets American Piping Products apart from the rest of the market. All of American Piping Products’ manufacturers and suppliers undergo pre-qualification and appropriate inspection by our personnel. Customers are assured of procuring quality, tested products. Anything else would be unacceptable. Whether orders need to be shipped coast-to-coast or to the other side of the globe, they will arrive rapidly, when customers count on it. Clients can expect reliable logistical support with every order. American Piping Products provides all required paperwork before material is delivered, and MTRs always accompany material. An operations group provides regular customer updates, ensuring delivery dates are met and expectations are exceeded. American Piping Products continually improves and expands inventory to stock and ship exactly what customers need. We do whatever it takes to make our clients happy. We develop long-term commercial and technical partnerships with customers. American Piping Products is committed to continual quality improvement of all internal processes. The success of our quality program is affirmed by our strong customer retention rate. Contact us with any piping product questions, and let’s start working together to fulfill your steel piping needs.